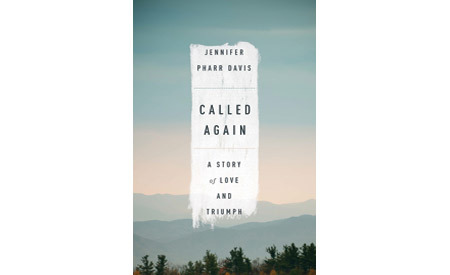 Upon first glance, Jennifer Pharr Davis’s new book, Called Again, is an adventure tale. 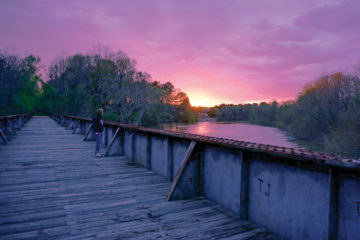 As anyone who follows long-distance hiking in the Southeast knows, in 2011 Davis set the overall speed record for hiking the 2,181-mile Appalachian Trail, surpassing the efforts of some of the top male endurance athletes in the country. Called Again is the story of this remarkable feat, but it is also much more. 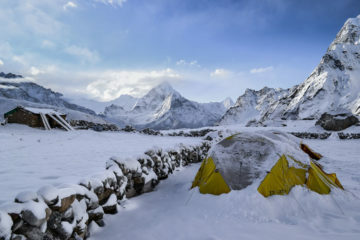 When I initially picked up this book, I expected lots of details of daily mileage (an astonishing average of forty-seven miles per day for the entire forty-six day trek), trail conditions, and physical discomfort. I wasn’t disappointed. Davis takes her readers on an unforgettable journey through fog, rain, and hypothermia in New Hampshire; oppressive heat and nausea in Virginia; a wicked case of shin splints; and numerous encounters with bears, venomous snakes and even a stalker-like photojournalist. For readers who harbor a romantic dream of speed-hiking the A.T., envisioning a peaceful journey through some of the most gorgeous scenery in the East, reading Davis’s account provides a serious dose of reality. She doesn’t sugarcoat the experience – it is hard…and not especially fun. In fact, what makes this account so powerful is Davis’s lack of sugarcoating. She makes no effort to present the experience as pleasant or enjoyable. When a hiking companion asks her if she is having fun in her record attempt, she replies with a concise but emphatic, “No. I am not having fun.” She goes on, however, to explain the difference between fun and purpose, noting that although she might not be enjoying the experience, she is finding purpose and fulfillment, which “in the end…is better than fun”. Similarly, Davis makes no effort to portray herself as anything other than human. Many in her position would use this story as an opportunity to represent themselves as larger than life, to focus on their ability to meet challenge with strength and grace. Davis, on the other hand, holds nothing back as she describes moments of weakness and self-doubt, conflicts with her husband and other crew members (often brought on by her own demanding behavior), and plenty of vivid descriptions of the physical challenges of consuming (and keeping down) the 6,000 daily calories necessary to fuel her quest. Again, for those readers who are still holding onto fantasies about the joys of a speed-hike, including the ability to eat as much as one wants and still lose weight, the image of Davis scarfing down spaghetti by burying her face in the noodles “like a hog in a trough” will surely ruin their appetite. For all of the decidedly unglamorous details of her story, Davis’s ultimate message is not about the miles or the mountains. It is about love – not the romantic, wine-and-roses Hollywood version, but the gritty, not-always-easy-and-not-always-fun type. As Davis’s story attests, most who begin the adventure of a thru-hike – or a marriage – do so out of love, for the trail or for one’s spouse. It is through the challenge of her journey, the struggles as well as the triumph, that Davis ultimately discovers the true meaning of love – the commitment to a goal or to a person that allows an individual to persevere even when the going gets tough. Her book encourages us to make the same discovery in our own lives, on or off the trail.